PRO SE PRODUCTIONS SINGLE SHOT SIGNATURE SERIES- FOUR NEW STORIES TO KICK OFF 2015! At the end of 2013, Pro Se Productions, an innovative publisher of Genre Fiction, debuted its Pro Se Single Shots line, stand alone digital only short story singles at an affordable price. Due to the success of the single self containted tales, Pro Se launched the Pro Se Single Shot Signature line in 2014. The Signature imprint still focuses on digital singles, but invited authors either write individual stand alone stories under a ‘From the Pen of…” title or a series of their own creation, either featuring connected stories or even ‘chapters’ or ‘episodes’ as well as still features single short stories or recurrent ‘chapters’ or ‘episodes’ written as short stories. The New Pulp Publisher debuts the next chapters in four of its inaugural Signature series today. The four newest releases from the Pro Se Single Shot Signature line are available at Amazon and www.smashwords.com. Russ Anderson Jr’s Fly Girl returns, soaring into her second adventure in her Pro Se Single Shot Signature series as she faces The Ice Queen! Still reeling from the events of the first story, 16 year old Caryn Clay struggles to understand her newfound abilities, her truly awesome connection with her Navajo heritage, and the attack of another strangely powered figure, known only as The Trickster. Before she can come to grips with any of that, though, a new foe presents herself. Can Caryn survive the chilling vengeance of a wronged girl? And are she and her mystical feather to blame for the destruction wrought by this frigid new enemy? 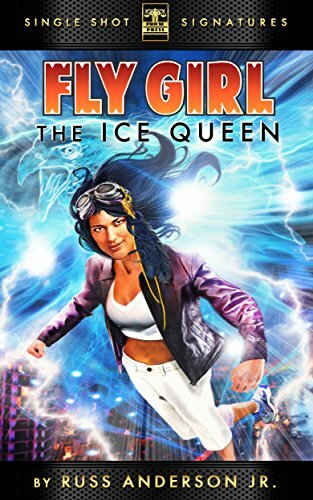 Find out in The Ice Queen, Fly Girl Book Two by Russ Anderson, Jr., featuring exciting cover and logo design by Jeff Hayes and ebook formatting by Anderson. Available on the Kindle at http://tinyurl.com/prt4yoo and for most other formats at http://tinyurl.com/q6vm3pl for only 99 cents. A stop for breakfast in a small diner becomes a case of life and death...and more for Cross. Overhearing a distraught woman's plea for help to find her missing brother, Cross senses there is more than simply an absent sibling at work here. Finding themselves on their own deep in the woods, Cross and his new companion discover that small towns not only hide skeletons in the closet. There's something much worse they keep in the barn. 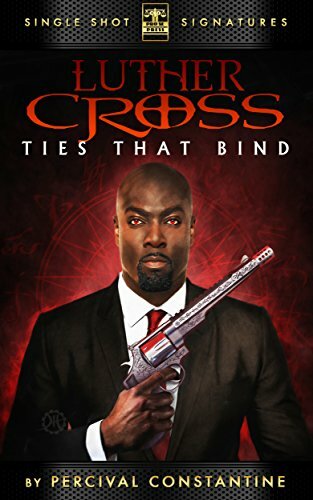 Ties That Bind, the second digital single short story in Constantine's Luther Cross Pro Se Single Shot Signature Series, features evocative cover art and logo design by Jeff Hayes and ebook formatting by Russ Anderson. The latest story in Cross’ saga is available for only 99 cents for Kindle at http://tinyurl.com/l79xflt and at Smashwords for other formats at http://tinyurl.com/o76jp2j. 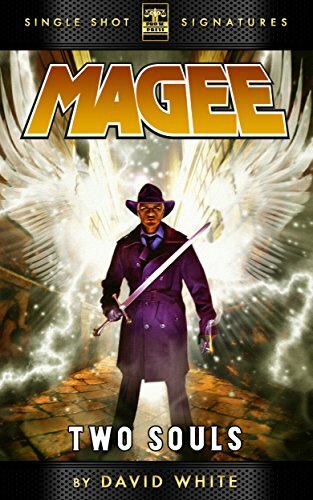 The Angel Heaven and Hell hate to see coming discovers new truths in the third installment of author David White's Magee, a Pro Se Single Shot Series from Pro Se Productions. Finding love in the arms of a witch, Magee seems to be finding his stride in the mortal world. That is, until a guitar wielding demon shows up, fully intent on playing Magee’s funeral song on his corpse. As the battle ensues, Magee finds himself face to face with unbelievable secrets now revealed as well as an evil older than God itself. An evil that offers Magee the world...or suffering beyond even his imagining. David White’s Magee: Two Souls is the third digital single short story in this supernatural action Pro Se Single Signature Series and features striking art work and logo design by Jeff Hayes and ebook formatting by Russ Anderson. Get your copy for only 99 cents at Amazon for the Kindle at http://tinyurl.com/k6qcrxb and for most other formats at Smashwords at http://tinyurl.com/pqaptzy. Chuck Miller, the master of Psychedelic Pulp, returns with the second episode of the wildest, weirdest Pro Se Single Shot Signature Series yet. The Fabulous World of Zenith, a new and original series that will examine the world of the Black Centipede, Vionna Valis, Mary Kelly and Doctor Unknown Junior from a variety of strange and oblique angles continues on with The Journal of Bloody Mary Jane: My Florida Idyll- Part Two! Finding herself trapped in the small Florida settlement of Cotton Mather and Ponce De Leon, Mary Jane Gallows continues on her odd mission for the now vampiric Professor Moriarty, as well as her own personal twisted journey. Strange creatures inhabit the dilapidated village surrounding the mysterious Fountain of Youth. Three men stumble their way into the crop of building and strangeness seeking a murderess, not knowing that Bloody Mary Jane is indeed among them. And Miss Gallows finds out much and yet nothing about the future, her destiny, and secrets that could mean her own demise or even better, the end of the world. 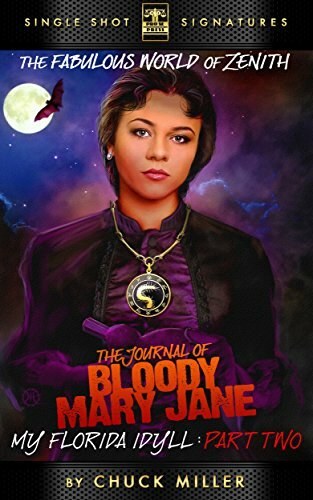 The Journal of Bloody Mary Jane: My Florida Idyll- Part Two features a fantastic cover and logo design by Jeff Hayes and ebook formatting by Russ Anderson. It is available for only 99 cents at Amazon for the Kindle at http://tinyurl.com/kxfgfme and at Smashwords for most other formats at http://tinyurl.com/pkbcslh. For more information on these titles, interviews with the authors, or digital copies for review, contact Morgan McKay, Pro Se’s Director of Corporate Operations, at directorofcorporateoperations@prose-press.com. ORIGINAL PRO SE AUTHOR PROVES HIS HAND AT HORROR IN ‘CHAOS AND DOOM: A SHORT STORY COLLECTION!’ AVAILABLE NOW! PRO SE PRODUCTIONS ANTES UP WITH FIRST NEW RELEASE OF 2015- POKER PULP!